The annual presentation evening was held for this year’s awards at Charnock Richard Football Club on November 10th. 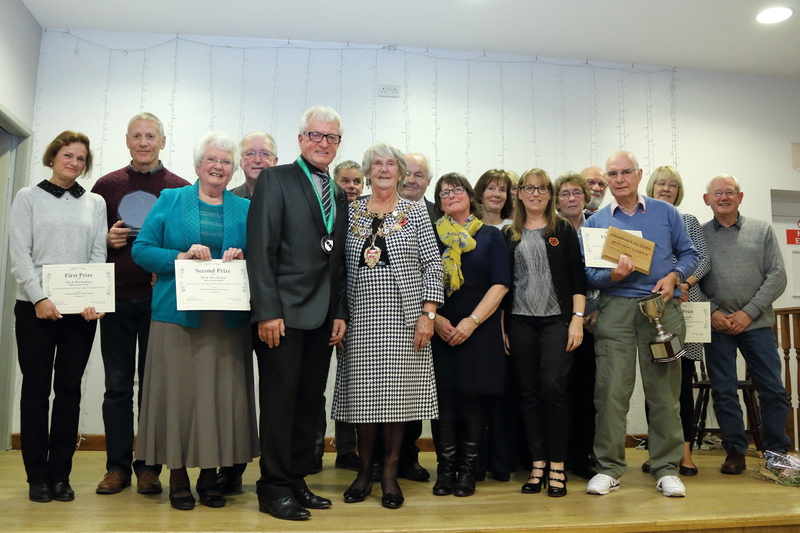 The evening recognises and celebrates the efforts that have been made throughout the year in the gardens and elsewhere, by the residents of this village, that help to make our village a little bit special. The evening was hosted by the Parish Council Clerk, Mrs. Carolyn Cross, & myself. This year the prizes were presented to the winners by the Mayor of Chorley, Councillor Mrs. Doreen Dickinson who was accompanied her daughter Mrs. Lesley Moulton. 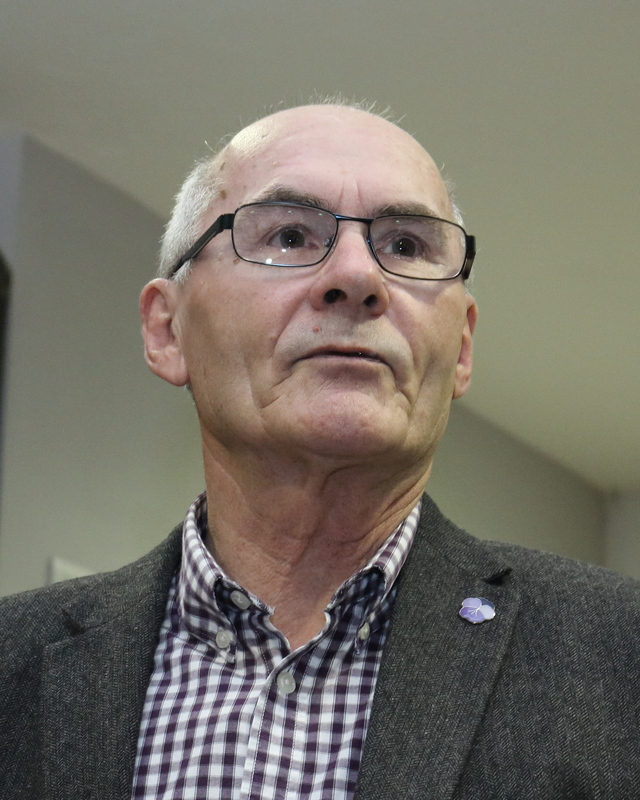 Mr. David Brown from The Chorley & District Gardening Society. A total of 53 gardens were judged which was an increase of 8 over last year. David did also complement the Parish Council on the three raised planted beds on the grass verge on Preston Road, opposite the junction of Town Lane, known affectionately by the Parish Council as Welch Whittle Gardens, where he feels that the style of planting is both sustainable and attractive to wildlife. In addition to the winners, other members of the community were recognised for their efforts on the evening such as our Parish Lengthsman, Mr. Gordon Yates, Mr. Norman Brown for his work of adding a lovely flash of colour to the railway bridge on Chorley Lane and also Mr. Paul Carter and Mr. Ralph Heyes for their work of re-furbishing the Play School playground and Parish Room iron fences. Lastly, we recognised the work done by Mr. David Williams and Mr. Graham Jackson, ofunearthing and re-erecting the almost buried milestone found in the grass verge on the bend on Chorley Lane. Whilst the Best Kept Garden judging takes place as does the judging for the Lancashire Best Kept Village competition. Unfortunately, this year we did not come away with any prizes, however our intention, with the support of our residents, as a community is to improve on our performance next year in this highly prestigious Lancashire competition by getting more residents to brighten up their gardens, pick up litter if seen & report any issues such as full litter bins & overgrown hedges/grass verges. The evening concluded as an informal social evening with an excellent buffet provided by Ian Holland. These are gifts given to members of the community who have made personal efforts in improving the appearance of the village. Gordon is the Lengthsman of Charnock Richard & works hard throughout the year planting flowers, cutting grass verges & making sure the village is tidy & free from litter. Mr & Mrs Brown continue to improve the village by tidying and planting beautiful flowers by the grass verge at the railway bridge on Chorley Lane. Mr David Williams & Mr Graham Jackson undertook the ardous task of unearthing the buried milestone on the S-bend on Chorley Lane. 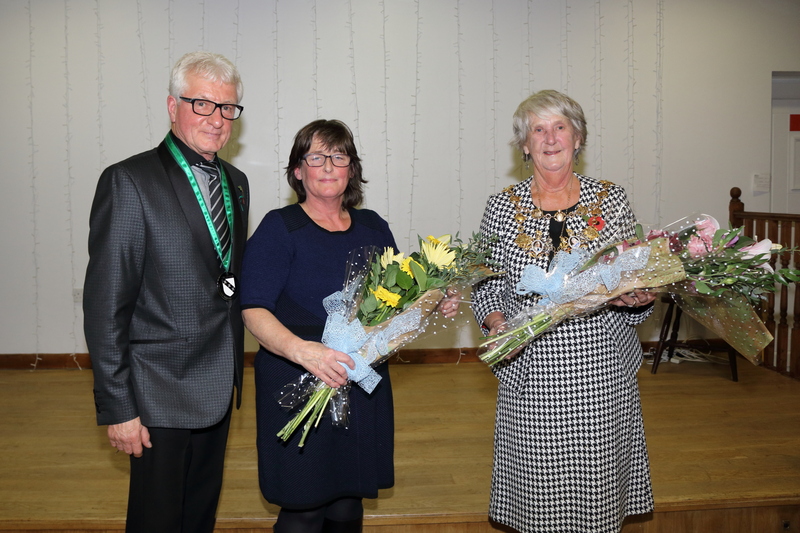 Flowers were also given to the Mayor of Chorley & her daughter for presenting the prizes & a bottle of wine was given to Mr. David Brown for judging the competition this year.